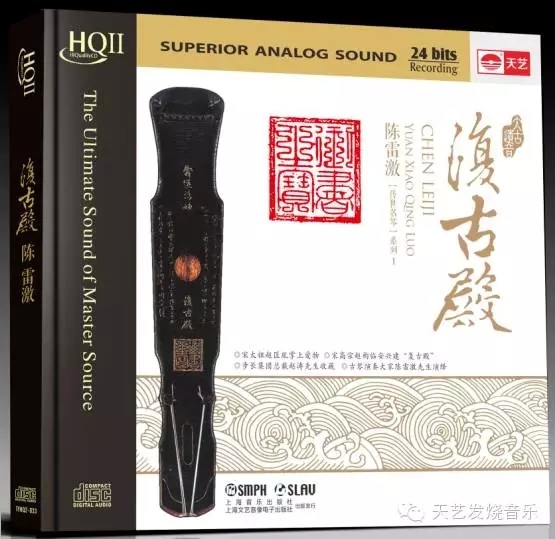 Guqin virtuoso Mr. Chen Leiji was awarded at the IFPI (International Federation of the Phonographic Industry) for the best selling classical music record of year 2015 in Hong Kong. The album Fu Gu Dian was produced using JMF Audio products (DXC2.2 MKII, PCD302, cables). It was the first CD released using the HQII technology. Our congratulations go to Mr. Chen Leiji, to the producer and sound engineer Mr. Chen Yuli. We are thankful to our representative Mr. Kevin Wu. In 1989 after leaving middle school, Chen Leiji continued his studies in Conducting at the French Conservatoire à Rayonnement Régional of Reims and Rueil-Malmaison respectively. In 2003, he returned to China and was admitted into the Central Conservatory of Music to pursue a Master’s degree in Conducting. At present he teaches at the middle school affiliated to the China Conservatory, and is the conductor of its youth Chinese orchestra as well as a guqin instructor. During his time spent in Europe, Chen gave a number of solo recitals and performed guqin concertos with western symphony orchestras. His album Recueil de l'Ermitage du prunus: Chen Leiji released under the Ocora Radio France label, was awarded a Grand prix du disque by l’Académie Charles Cros in the World Music category. 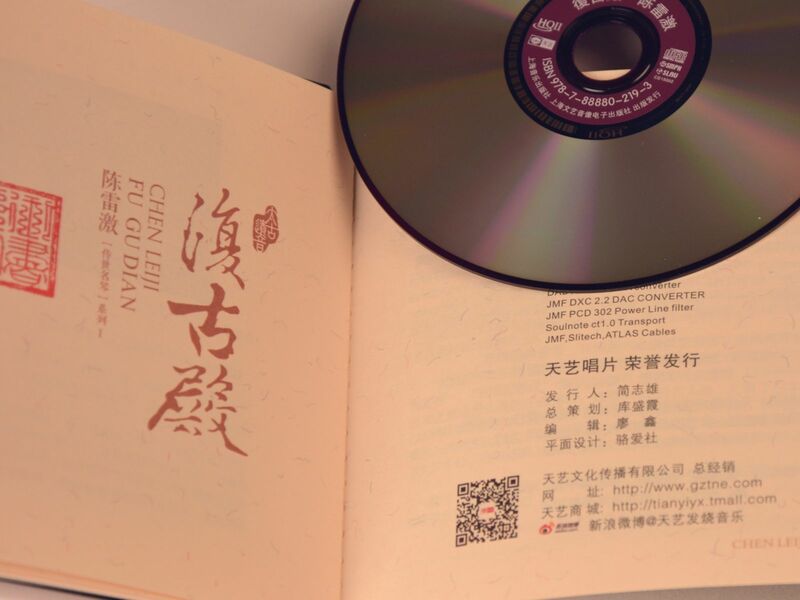 Mr. Chen Leiji's latest album Fu Gu Dian was the first CD released using the HQII technology. JMF Audio products were used for the production of the disc (DXC2.2 MKII converter, PCD302 power line conditioner and cables). We are thankful to the JMF Audio representative Mr. Kevin Wu for providing the producers with the best support, and of course to Mr. Chen Leiji for his art and dedication. Another delightful release to be enjoyed with the JMF Audio DMT3.7 disc transport and DXC2.2 MKII digital to analog converter.